To achieve the 7000's amazing performance, Dri-Eaz engineers developed Advanced Crossflow TechnologyTMto maximize energy utilization. At the same time, the unit's built-in sensors constantly monitor real time performance data to automatically calculate ideal operating parameters – such as fan speed and cycle duration – in real-time. The astounding thing about the 7000 is its XL category-busting performance in a unit that matches the size of an Evolution and weighs just 102 pounds! With an amazing 130 pints/61.5L per day tested water removal at AHAM (80°F/60% RH) and 235 pints/111L at max (90°F/90% RH), plus 40% better low-grain performance than competitive units, the 7000 is truly the top performer. But the 7000Xli is also an operator-friendly machine. 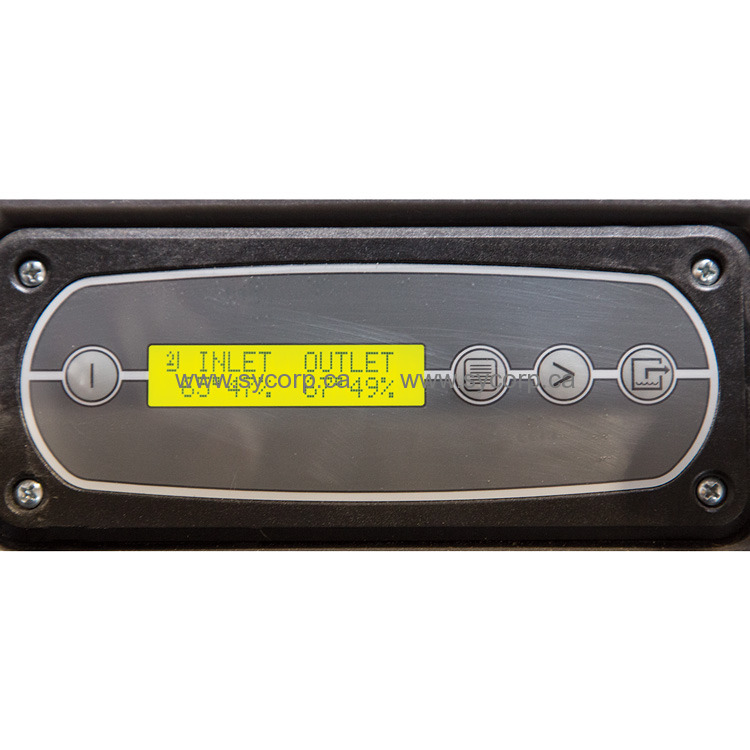 The control panel displays inlet and outlet temp and RH in real time. No obscure codes are used here! Plain English text (and three other languages) provide clear operational information. 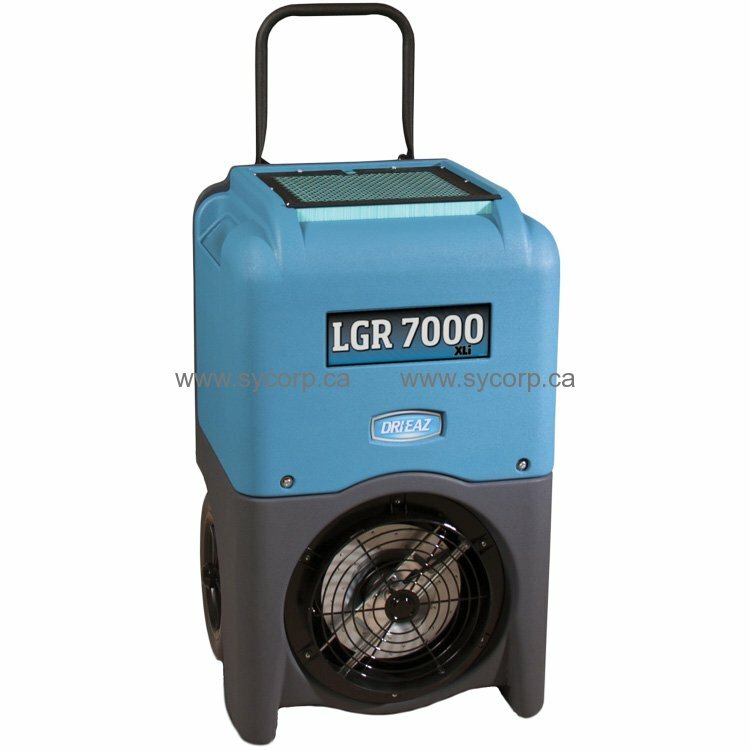 Best of all, with its integrated oversized pump basin, the 7000 has been designed to prevent accidental spills when moving the unit off the job. 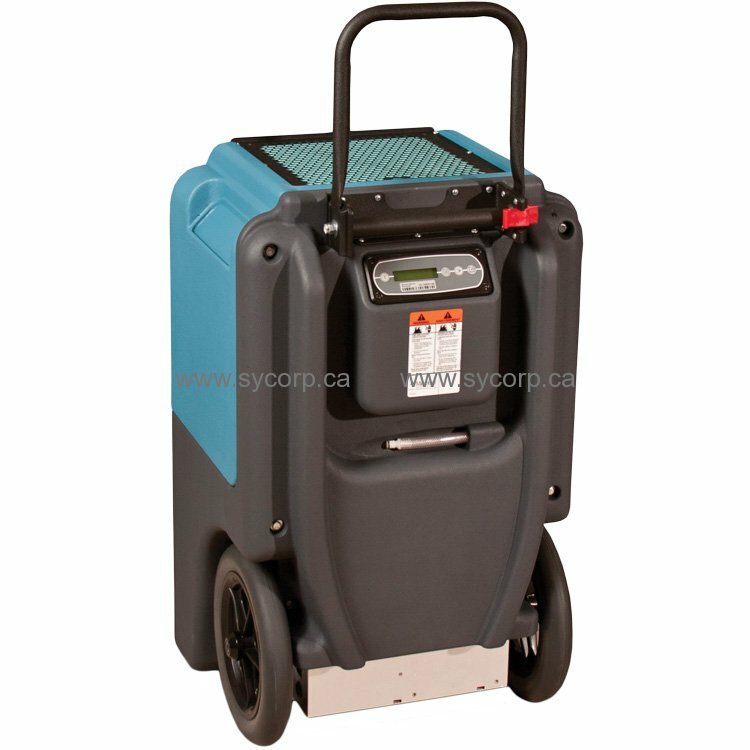 The 7000 XLi greatly simplifies cleaning and maintenance. Simply remove four bolts and the cover easily lifts off to fully expose the coils and the heat exchange block for cleaning. And of course, the Legendary rotomolded housing is practically indestructible. Advanced Crossflow Technology maximizes efficiency even in low grain environments. Ensures best performance across range. Self-monitoring system. Built-in sensors monitor performance perameters allowing for automatic fan speed adjustments. Sealed large-capacity pump basin – more than enough to handle the water from an unintentional defrost that might occur after a power outage or other unexpected shut-down. Ergonomic design. Handle 2 in. taller for easier use on stairs, folds down for storage. Integrated cord and hose storage. Versatile application – standard 12 in. ductable outlet. Legendary rotomolded housing – practically indestructible – resists dents and dings – stackable for storage – saves room in warehouse.